Parties can be super expensive, so if you have a little time on your hands (or, if like me you have loads of homework and welcome any form of distraction) then it is worth trying to make as much of the decorations/food/invites yourself as possible. 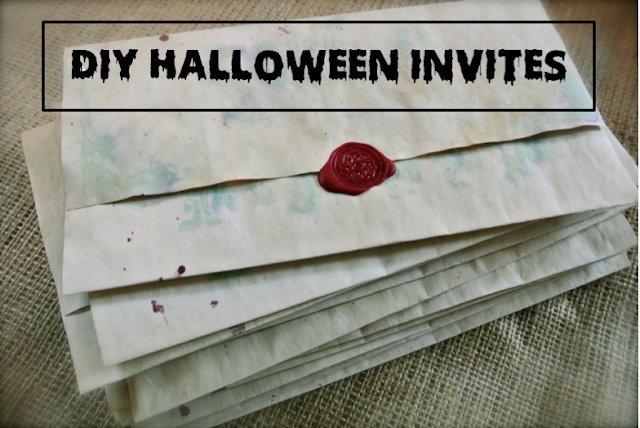 These are the invites I made this year. I didn’t use photoshop or anything fancy, just a word document with the help of some page borders from google images, and font from an online font generator. 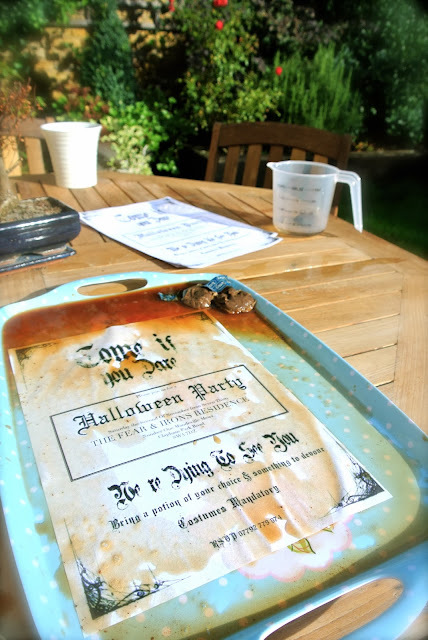 After printing, I tea stained the invites (primary school art lessons, who knew they would come in so handy?!) and left them to dry outside. 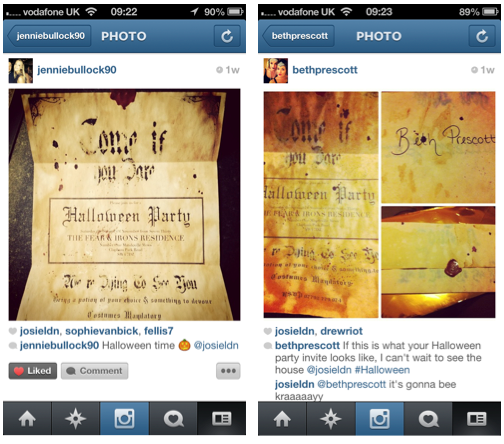 I then used red food colouring and a cocktail stick to create ‘blood splatters’ all over them. I purchased a wax sealing kit off eBay, and carefully dripped the wax over the fold. 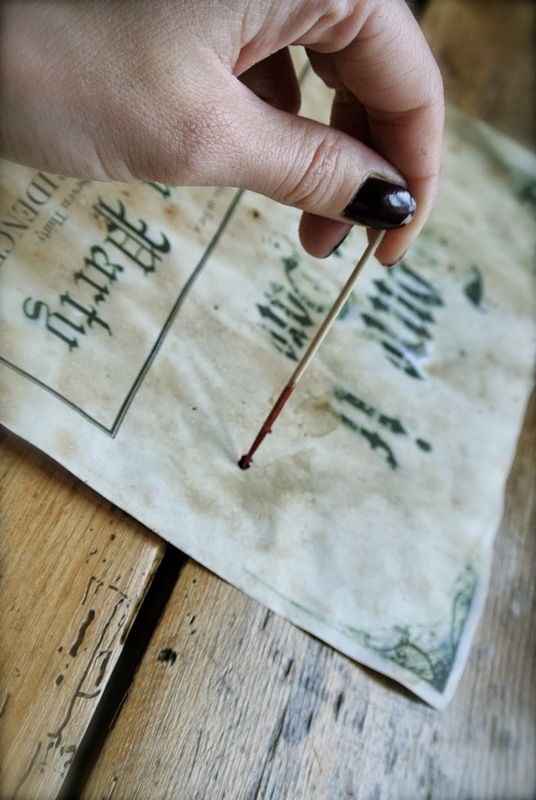 I then used the stamp to create a logo on the wax, and seal the invitation. Finally, I hand wrote the names on the front and popped the invitations in large envelopes for posting, so that they didn’t get damaged on their way. So next time you are having a party, why not try making your own invitations, it is super easy and far cheaper than purchasing them. Plus, everyone loves to receive something handmade! 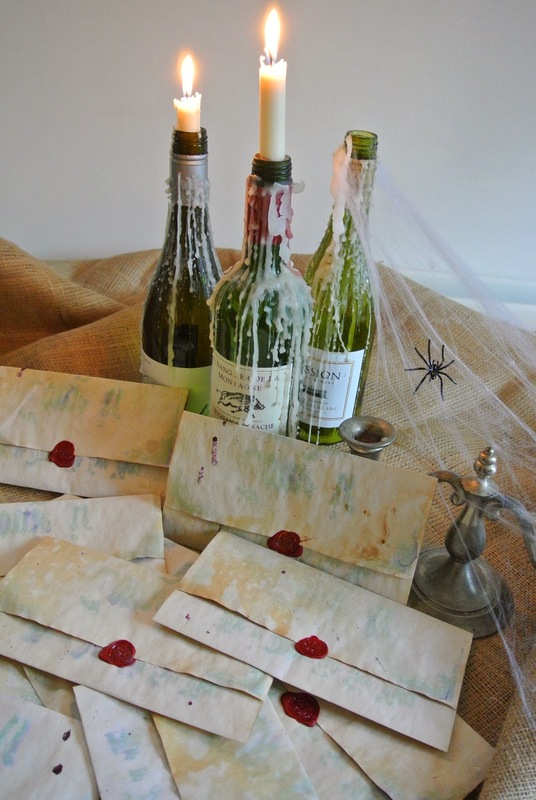 Have you made anything for your halloween party? Tag me on instagram so I can check out your creations!